Being a Virginia wedding photographer covers a lot of ground. 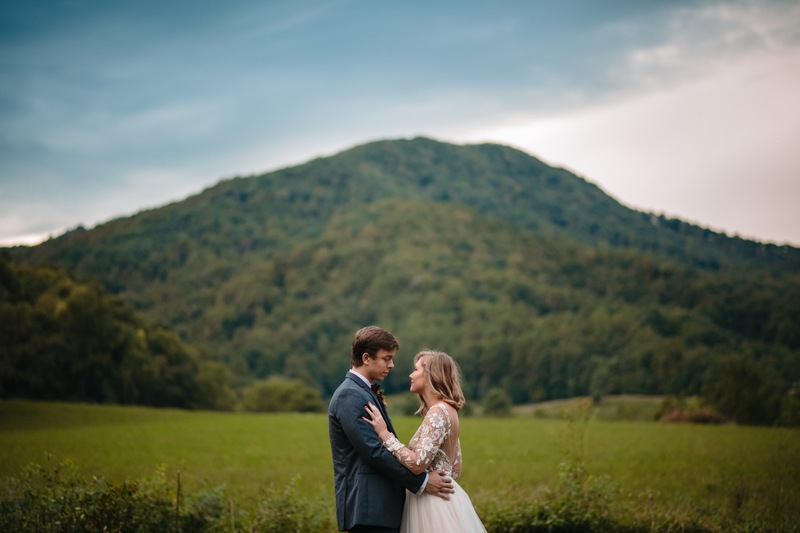 A wedding in Old Town Alexandria is significantly different than a wedding at a vineyard in Lynchburg, for instance, which is different still from a wedding at Sundarain the Blue Ridge Mountains. Since I primarily work in and around DC, I'm usually in NoVA or Maryland. Now that I spend part of my time in Blacksburg, I've been dying to photograph the gorgeous mountains I see every day. The opportunity finally presented itself with a styled shoot at the Rooted to Thrive workshop. Being honest, I'm not a big fan of styled shoots. My biggest inspiration is authenticity and connection, which is hard when you have two people, maybe a couple but maybe just models who might not even know each other, faking that this is their wedding day while a crew of vendors and often other photographers all hang and stare at them. For all of that, I am incredibly grateful for this styled shoot. This allowed me a lot of freedom to create, focus on some technical stuff, and take a step back while to re-assess the situation and decide what to do next without having a couple staring at me looking for guidance. And thanks to all the fantastic folks who made this happen! Thanks to Pat Cori and Lindsey Paradiso for putting this all together for the Rooted to Thrive workshop!